Warning: This product is not currently available at any store. Click the button above and PricePlow will email you when the first store has it in stock! IMPROVE MOBILITY - Take your life back. 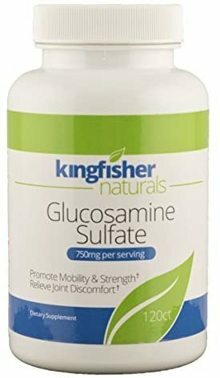 TAKE THE BEST - Pharmaceutical Grade Glucosamine Sulfate 750mg. These statements have not been evaluated by the Food and Drug Administration. This product is not intended to diagnose, treat, cure, or prevent any disease.